Beca is a colorful personality with eclectic interests, ranging from web design to scrapbooking. 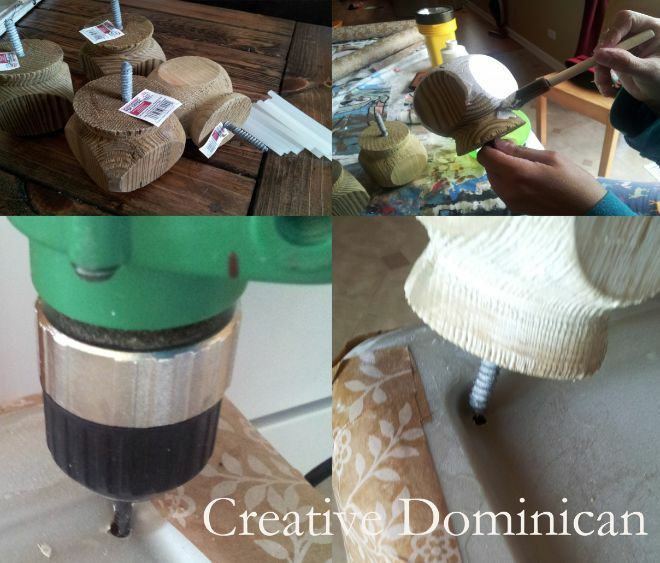 Lucky for us, Beca uses her blog, Creative Dominican, to share her passion and talent for DIY. According to her blog, Beca learned crafting from her late mother and continues her creative pursuits in order to honor her mother's memory. "With every post and every craft I picture her smiling down and telling me how much she loves it," writes Beca. 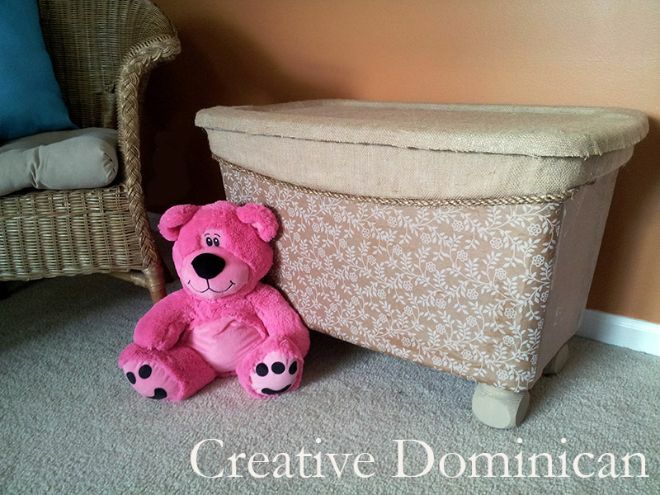 To make your very own toy box, you will need an old storage bin, fabric or wrapping paper, rope, Mod Podge, hot glue, lock nuts, and decorative fence caps as an alternative to expensive furniture legs. Begin by using a sponge to brush Mod Podge on the bin. Attach the fabric using the hot glue where necessary. Once your fabric is in place, attach the legs by drilling a hole and screwing them in tight. Top the screws with lock nuts in order to protect your children from hurting themselves on the exposed screws. You can use rope, burlap, and other materials in order to customize your new toy box. For Beca's complete instructions, visit Creative Dominican. 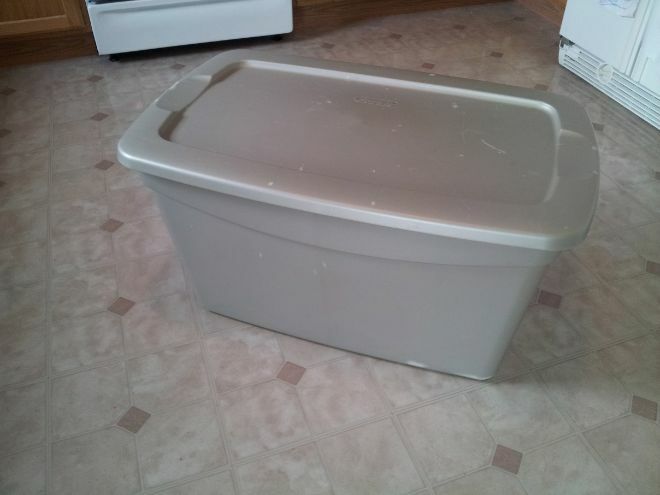 Toy boxes aren't the only ways you can give old storage bins new lives. For moms who work from home, use gold spray paint to give plain plastic storage a sleek, elegant and professional look. 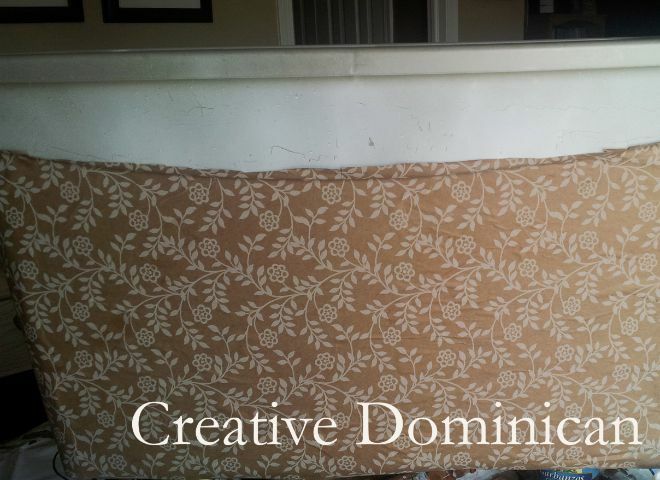 Similar to the method on Creative Dominican, Woman's Day suggests using cotton fabric to jazz up your storage bins. 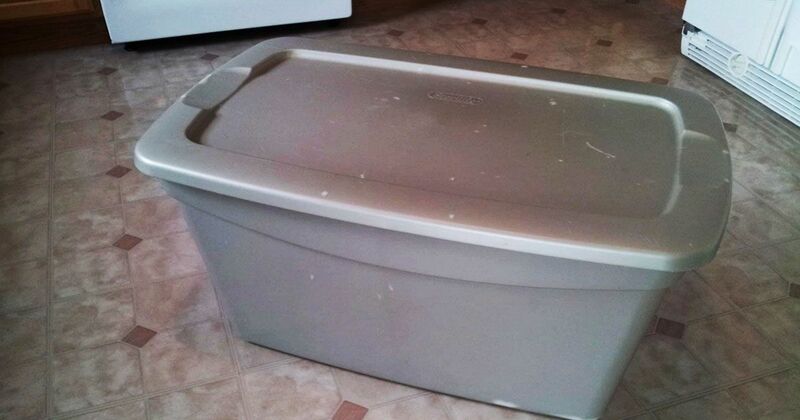 If you and your kids love your new storage-bins-turned-toy-box, SHARE this article!